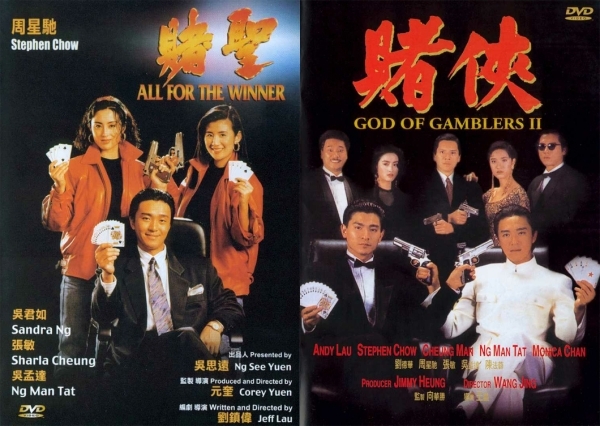 Welcome to part 2 of our God of Gamblers series retrospective and after covering the Chow Yun-fat run of movies in the form of 1989’s God of Gamblers and 1994’s God of Gamblers’ Return, we turn from God to Saint and the Stephen Chow run. In 1990 Stephen Chow broke through as a comedy superstar playing the Saint Of Gamblers in All For The Winner directed by Jeff Lau and Corey Yuen. Setting off a long series of successful comedies and being dubbed the king mo lei tau comedy. Then the universes merged in the the same year for God Of Gamblers II, with Chow reprising his Saint role and being paired up with Andy Lau’s Knife from God Of Gamblers. Instant success, headed by Wong Jing. Sound confusing? Well, we’ll break it for ya. With Kenny B and Paul Fox. ????????????????????? ??????????????????? 24?????????3?4??????? ?????????????????? ?????????????????? ???????????? ???? ????????????????????? ?????????????????? ?